Randall Beans are the delicious, fully cooked beans in the glass jar. Our beans are healthy, gluten-free and with a taste you and your family will love. We select only the highest quality beans and use a rigorous sorting process to make sure you receive a jar full of the best beans possible. Our beans don’t include any artificial preservatives, chemicals or heavy seasonings. You can see the quality of our plump, delicious beans through the distinctive Randall Beans glass jar. 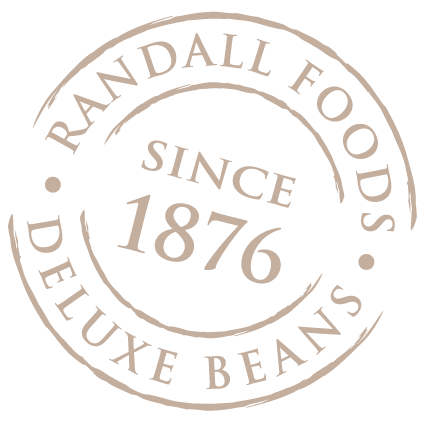 At Randall Beans, we’re dedicated to showing you how to live better by eating better. Are you powered by beans? Starting this spring, we’re proud to bring you our first ever line of certified organic beans. Learn more about our organic launch here! Welcome to Open Spigot Farm! The farm has been cultivated by farmers for more than 150 continuous years. To this day, a water spigot is used by neighbors and travelers passing through. Everyone’s welcome here. To keep that shared history alive, we named it Open Spigot Farm. Be inspired by a rich history of incredible organic ingredients, straight from the farm.